During the premiere episode of the fifth season of Happy Days, fans watched as one of America's favorite TV shows took its place among America's favorite has-beens. And it all began with a shark. 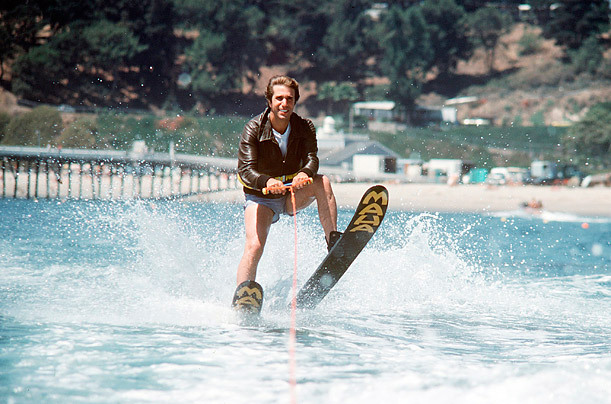 In a moment, fan favorite the Fonz was reduced from the essence of cool to a braggadocio on water skis as he, literally, hopped over a shark  all done without removing his signature leather jacket. Since the episode aired in 1977, we've adopted the colloquialism as our own, deploying it to describe something that has passed its peak. See the top 10 shows that jumped the shark.